While staying at the Wilson Ranches Retreat B&B near Fossil, OR we spent a few days visiting the very interesting and wide-spread units of the John Day Fossil Beds National Monument. The second evening of our stay was met with a dramatic thunder and lightning storm. With no nearby city to light up the heavens, the bolts of lightning were spectacular against the darkening sky at sunset. To our delight, peals of thunder reverberated down the Butte Creek Valley. During the night it rained off and on. I had read that the Painted Hills were at their best after a period of rain. This is due to the compressed volcanic ash absorbing the rainwater, bringing out the vivid yellows, golds, blacks, and reds of the soil. 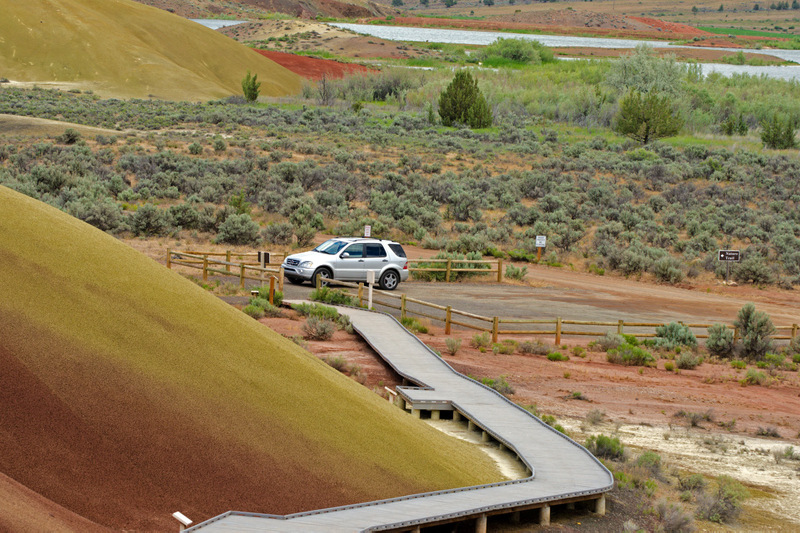 To test the theory, we ventured to the Painted Hills Unit on the third day of our visit. 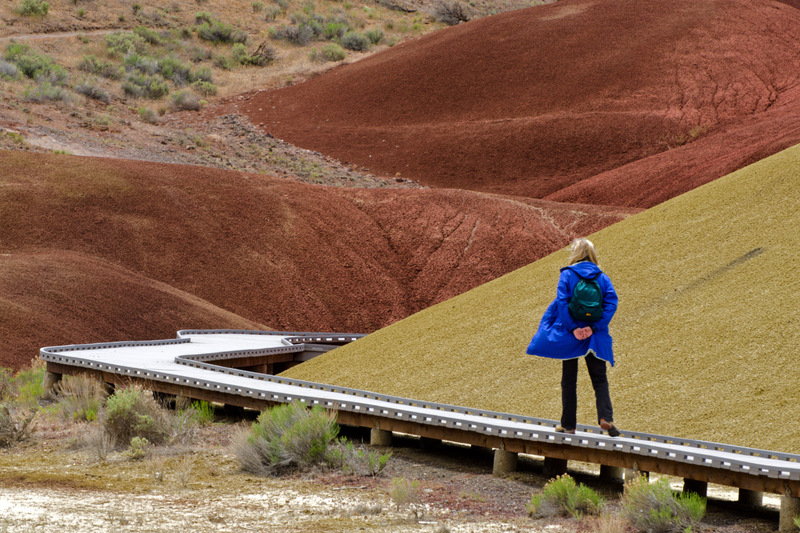 Indeed, the colors of the Painted Hills were spectacular. The sun broke out of the clouds from time to time, providing good light for taking photos. 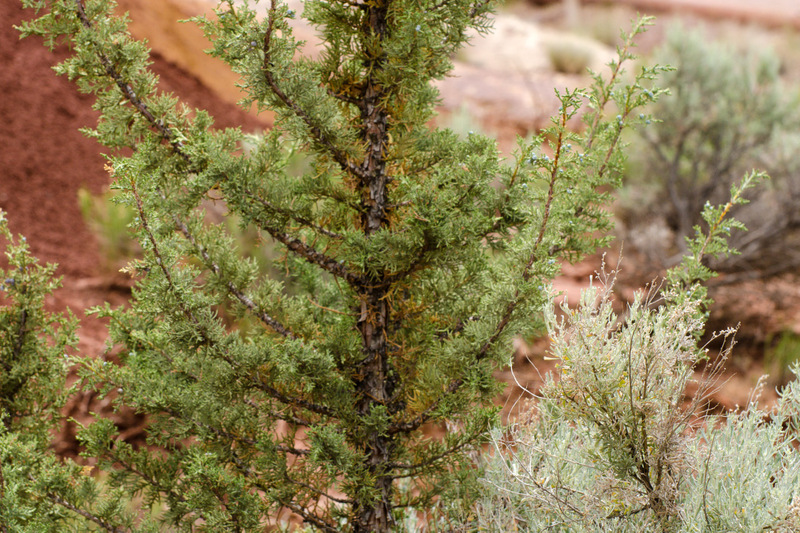 There are five trails in the Unit, the Painted Hills Overlook, Carroll Rim, Painted Cove, Red Hills and Leaf Hill. The following photos are from the one-fourth mile walk on the Painted Cove boardwalk, up close and personal with the red and gold claystone (compacted volcanic ash) hills. 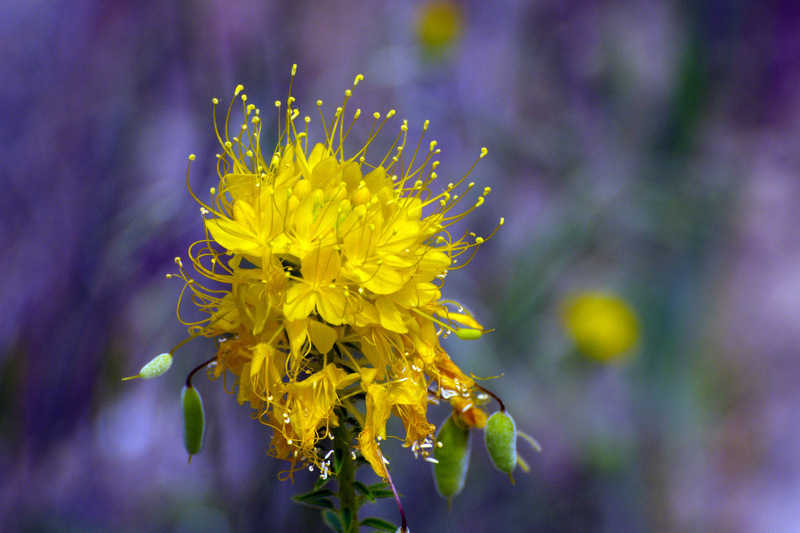 What a striking yellow flower! Especially with the purple background! Reblogged this on Your Blue Jay.